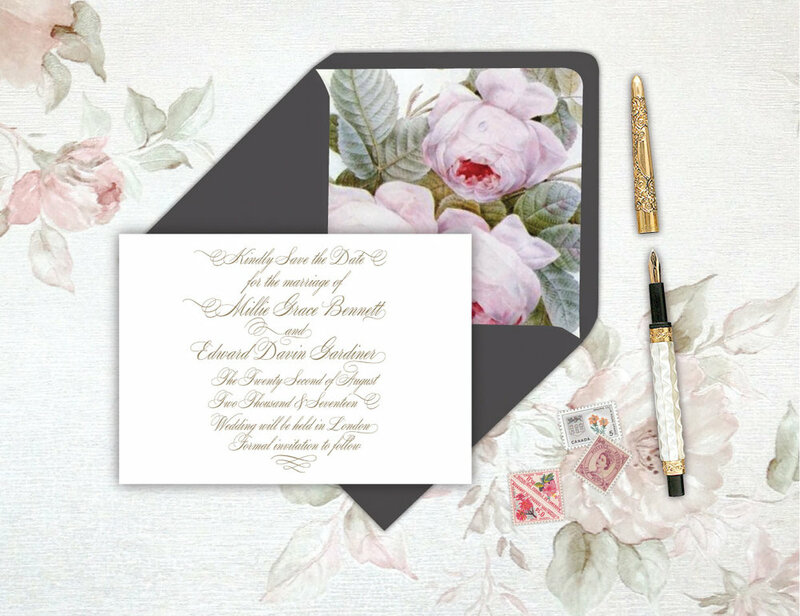 The Millie invitation suite is a beautiful calligraphy inspired suite with just the right amount of flourish and ornament. Timeless and romantic, this suite is both elegant and decadent, the perfect partner for swathes of roses, layers of lace and dancing well into the night. Suitable for both a classy city soiree or an intimate country church wedding.